ALAC | News | On-site Installation: Rafa Esparza & Timo Fahler "A Post Industrial Snake"
On-site Installation: Rafa Esparza & Timo Fahler "A Post Industrial Snake"
Art Los Angeles Contemporary is pleased to present the second iteration of A Post Industrial Snake, a collaborative on-site installation by Rafa Esparza and Timo Fahler comprised of a rebar framework sculpture that responds to the specific context of ALAC. The zoomorphic form of the piece weaves between hydrocal and adobe objects, offering a formal narrative that leads from the rear tent to the outdoor area. 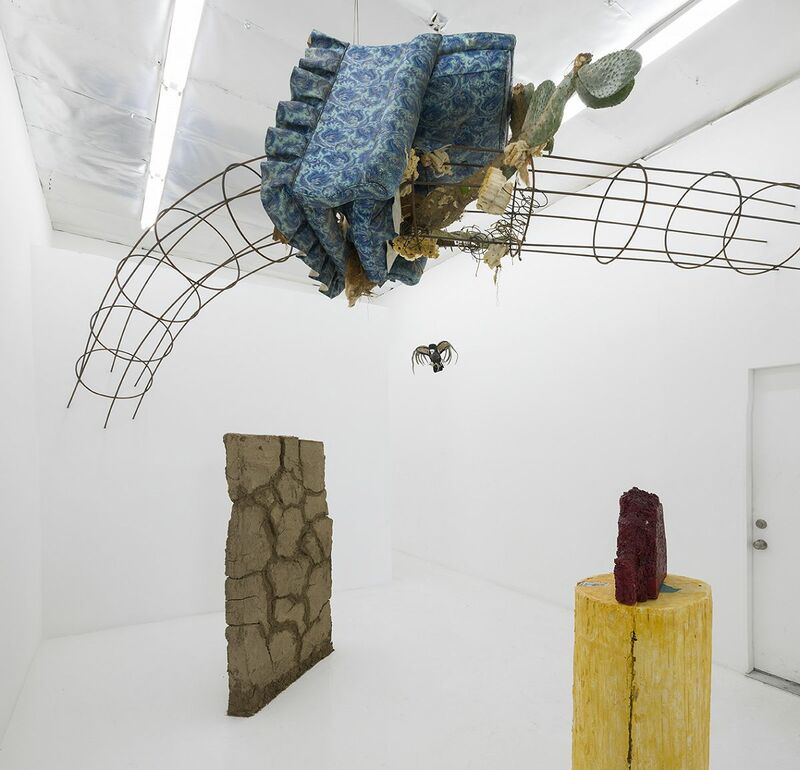 The snake takes on multiple meanings as a site-specific work, considering how the cultural legacies of Los Angeles continue to be shaped, molded and altered with unceasing momentum. Rafa Esparza (b. 1981, Los Angeles, CA) lives in Los Angeles and works in a variety of mediums, including installation, sculpture, drawing, painting, and performance. Using live performance as his main form of inquiry; site specificity, materiality, memory and (non)documentation are his primary tools in interrogating, critiquing and examining ideologies, power structures and binaries that problematize the “survival” process of historicized narratives and the environments wherein people are left to navigate and socialize. Timo Fahler (b. 1978, Tulsa, OK) is a sculptor living and working in Los Angeles California. Transferring ideas from an overwrought sense of concept, Fahler combines mold-made forms with collected materials, and translates them into sculpture based on his current ideas and understanding of formalist principles. The installation is presented courtesy of Club Pro Los Angeles.